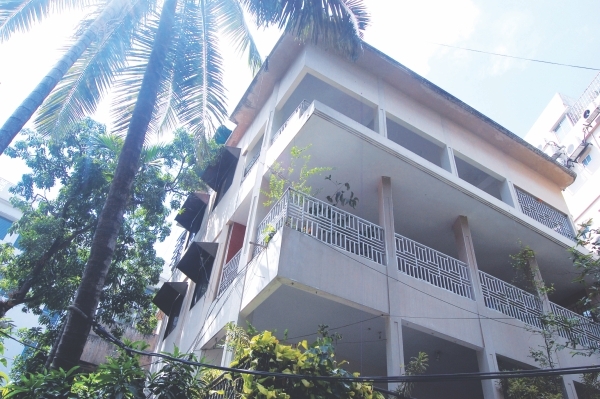 The five-storied 'Farhad Mansion' resembles any other well-maintained house in an affluent neighbourhood of Chittagong city. Yet no gatekeeper guards any of the two steel gates that lead to the small front yard and the stairway of the building. With the summer holidays, it is not surprising that the ground and fourth floors that house an English medium school are deserted. But even the residential second and third floors show no signs of life. Climbing to the top, the locked grilled-gate to the roof is reached. Standing there, one cannot help but shudder, imagining what had happened there on April 27, 2012. It was a usual Friday for eighteen- year-old, Himadri Majumdar Himu, a mild-mannered A' level student. With his friends from Shikor, a social organisation based in Panchlaish, Chittagong, Himu was supposed to attend a 'Mejban', held on occasion of the death of the father of another Shikor member. While his Muslim friends went to say the Friday prayers, he waited for them in front of Summerfield School at Panchlaish. Little did he know then, that this wait would be such a fatal mistake. “Tipu (Shah Selim Tipu, one of the main suspects of Himu murder case) saw him standing there and ordered his son (Riad) and his cronies Shaju, Danny, and Shaon to abduct Himu and lock him up in his building (Tipu's house),” says Jawed Ali Chowdhury, General Secretary of Shikor, who was one of the last people to hear the account of a grievously injured Himu at the Chittagong Medical College Hospital (CMCH) later that day. Some members of Shikor recorded Himu's account of the incident on a mobile phone: “They took me there. On the way, they broke my mobile phone. Then they took me to the roof and let five or six dogs out….. Then they beat me; no, not with anything; they beat me with their bare hands. I was taken there forcefully. There was Danny bhai, Shaon bhai, the one who plays with the medical team and there was another fair complexioned man. He told me, 'Do you know who you have (insulted)? He is my father.' I implored, 'I have never insulted anyone bhaiya, I never did anything wrong.' He was Tipu Uncle's son. Then they pushed me off. They pushed me off from the roof. 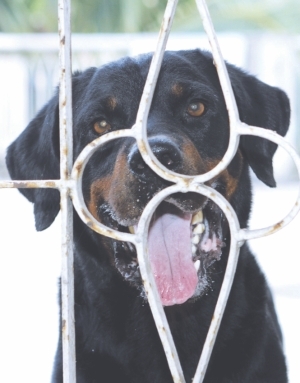 They let the dogs out….” The brutality of the barbaric incident is evident in Himu's strained voice as he fought with the excruciating pain that gripped his body. were let out to attack Himu. Himu had also mentioned Shahadat Hossain Shaju and Shah Selim Tipu's son Junaid Ahmed Riad as his assailants at other times while he was still conscious, informs Jawed. Gopa Majumdar, Himu's mother, confirms the claim. “They were standing near the gate to the stairs and were laughing at him. To save himself, he then crossed the roof railing and stood on the sun-shade, so that the dogs could not reach him. At one point, Selim's son Riad ran towards him and pushed him off,” says a grief-stricken Gopa recounting what her son had told her while fighting with death at the hospital. 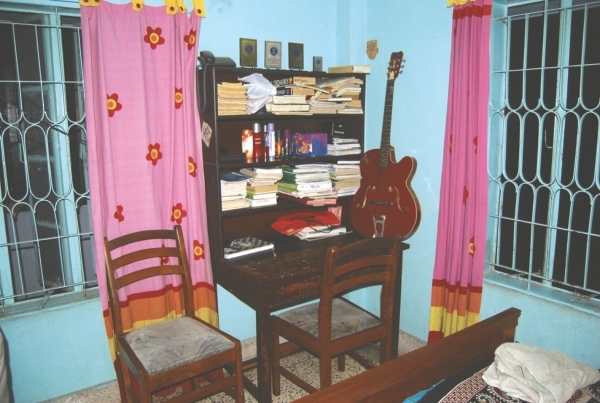 A hushed silence hangs in the living room of Himu's parents' rented apartment in Grindlays colony, where he had grown up. Gopa and Prabir Kanti Majumdar are found sitting like two stone statues; defeated in the battle of trying to save their eldest son's life. “The bones of Himu's left hand were broken and mutilated, the left leg and the waist was badly hurt; he had serious injury at the back of his head and his lung was totally crushed,” says Prabir Kanti Majumdar, Himu's father. Ironically, Prabir received the news about Himu's condition from one of the suspects. Had it not been for his interest in social activism, Himu today would have been enjoying the study break before university admission. “We had planned to get him admitted to North South University, after his A-Levels,” informs Himu's mother, who like all mothers had big dreams for her son. But fate had something else up its sleeve for the teenager, who loved basketball and tried to play guitar, despite his friends' irritation. As members of a minority, Gopa always advised Himu to keep a low profile, but he would not listen. Almost two years ago, he joined Shikor and soon became an active member. Besides campaigning against drug addiction and abuse, Shikor also started a neighbourhood vigil of the Panchlaish area where all the suspects of the Himu murder case reside. “Since Road-5, near Tipu's house is a quiet spot, people use to take drug, yaba, phensedyl and alcohol there. Yaba peddlers used to come in cars and sell the drugs quickly and leave. We resisted those,” Jawed asserts. He alleges that Shah Selim Tipu provides shelter to the drug peddlers in that area. He says that once, during a confrontation with drug peddlers, they warned Shikor members not to interfere in their business, because they receive Tipu's support. Shah Selim Tipu, former chairman of Bangladesh Reconditioned Vehicles' Importers and Dealers Association (BARVIDA) is the son of Engineer Amin, and his family has been living in Panchlaish for two generations. Father of three children, one son and two daughters, Tipu and another of his three brothers live in the inherited property, Farhad Mansion. Tipu's son Riad, his eldest daughter and wife live in London. Riad is said to be studying there and often comes to visit his father and sister. Tipu is also the motowalli (leader) of the neighbourhood mosque, Mokki Masjid. Md Shaheen, a resident of Panchlaish area alleges that Tipu uses his position as the mosque's motowalli to have influence over the neighbourhood. “I inherited an eighteen katha land beside the Mokki Masjid which my father leased from the Public Works Department (PWD) in 1962. When I started to build a house at the plot in 2008, Tipu demanded a shop space in front of my house for free. When I refused, he demanded an extortion of Tk 10 lakh,” claims Shaheen. When that did not happen, Tipu obtained a stay order from PWD and stopped construction, says Shaheen. Later when Shikor set up a temporary office on that land with Shaheen's permission, they also came under Tipu's ire. “Tipu is a goon-like man at the Panchlaish area and almost all the locals fear him,” states Shaheen. One evening in October, 2011, Shikor members including Himu confronted a few drug addicts near Road -5; Shaju and Danny were present there too. “Shaju called Tipu. He came and scolded us and told us to leave the area by bringing out a knife,” Jawed says. Describing the event Shikor members filed a general diary with Panchlaish Police station on October 20, 2011. Jawed believes that Tipu and his cohorts targeted Himu, because on the day of the direct confrontation with Tipu, Himu was the one who retorted back at Tipu's threat. Shamim Yusuf, Principal of Summerfield, informs that Himu had once planned to organise an anti-drug seminar with Shikor at Summerfield. However, it did not happen for some reason. According to Jawed, Tipu had threatened Himu over telephone not to carry out any anti-drug activity. “Whereas for all these years nobody dared protested against him (Tipu), my son did,” says Gopa. The pride that should have echoed in the mother's voice is subdued by grief. Till the time of writing this story, only one of the five accused, Shahadat Hossain Shaju, of the Himu murder case had been arrested by police. Although Himu's father filed a general diary a day after the incident took place, the family claims that police started investigation only after the case was filed on May 24, 2012. According to police, Himu's family has not been cooperative enough about the investigation. Refuting police's accusation, Prabir says that right after the incident they were more concerned about saving Himu's life than dealing with legal matters. Unfortunately, Himu did not receive much help at CMCH, because of the absence of doctors on a Friday. He was later taken to Surgiscope Clinic, from where he was shifted to Dhaka's Square Hospital, Sunday night, April 29, 2012. Almost a month later, Himu succumbed to his injuries on May 23, 2012. Ironically, Tipu accompanied the family from Chittagong Medical to Dhaka and according to Jawed he provided for Himu's medical expenses at the Square Hospital. Prabir argues that Tipu followed them everywhere to prevent them from taking any legal actions against the accused. “He made all arrangements to be out of reach while Himu was still alive. He did all the necessary lobbying wherever needed to keep himself safe,” insists Gopa. Himu's dead body was released from the Square Hospital without an autopsy. While Mohammad Alamgir Hossain, Officer in Charge, Panchlaish Police Station claims that police had to convince the family to send the dead body for autopsy, by filing a case, Shikor members, on the other hand, say that they are the ones who insisted on the autopsy. The case was finally filed by Awami League leader Sri Prakash Das Asit, a cousin of Himu's mother, who had to take the responsibility as the family was too shocked by the death to take any legal action then. It is difficult to differentiate the Himadri Majumdar Himu murder case from the thousand other cases where the accused are identified but for some strange reason remain out of the reach of the law enforcement agencies. While the families of the accused sleep in peace, the victim's family live in fear. Himu's close friends now pretend not to know him well; fear of repercussion are evident in their teenage eyes. Hardly a soul can be found in the Panchlaish neighbourhood near Farhad Mansion, who admits knowing Tipu well. 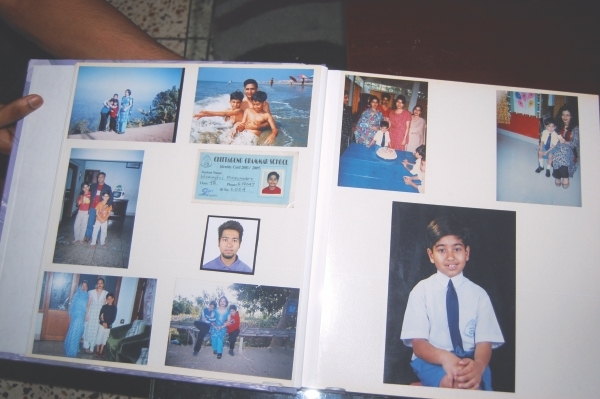 It is more likely that Himu's murder will just become another X-file among the million others that awaits justice in the police departments across the country. Power and money will yet again, stand in the way of justice.